RapidWorkers Review 2019: Is RapidWorkers Scam Really or Legal? Are you looking for an online platform for earning extra via doing simple tasks online? If yes then read this article to the end and decide by yourself is that helpful or not. If you want to add extra money in your income or want to do part-time jobs then there are a few sites that provide opportunity and Rapidworkers is one of them. Though there are plenty of such sites that offer similar chances to earn money all you need to complete mini-jobs. Here we are mentioning the whole Rapidworkers review that will help you to understand whether it is a legitimate site or just a scam, you should work here or not, how much you can earn in a day or in a month etc so let’s take a closer look at some features of Rapidworkers. Rapidworkers in known as a popular website through you can easily get micro jobs and online tasks and can make money. Micro-tasks appear a good opportunity to earn money online. Rapidworkers was established in 2009 and Unix Scripts owns it. The internet expert suggested it as a good site and not a fake one which is good news as well. You can earn money via Rapidworkers just completing simple tasks like Surveys completing, writing comments and short reviews, like particular pages on Facebook, web searching, data entry and many other mini tasks according to the requirements. You just have to create your account on Rapidworkers which is a free service. Fulfill all the required fields like Your name (username), E-mail, and set the password. Rapidworkers send you a mail click on it and verify your account and become a registered worker. You can have your account activation immediately and you can also search for suitable jobs and tasks for you. NOTE: If you face login problem in Google browser then try a different browser. 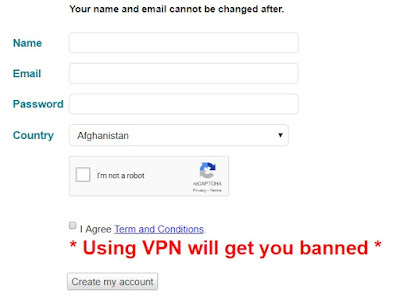 Rapidworkers is quite strict for their signup so never try to sign up twice otherwise you have to pay for that even they can ban you forever. Most of the tasks take 10 minutes or more than that and pay you 10 cents to $1 which is a low amount but you can increase this by doing more tasks in a single day. So if you are a sincere and responsible person then go for that. How much can I earn from Rapidworkers? Basically, people from different countries earn differently from Rapidworkers no matter whether they are completing the same tasks but the income can be different. Like if you belong to the USA, UK, Canada, Norway, New Zealand, Australia you are very lucky regarding earring via Rapidworkers but on the other site, if you are not one of them then your income can disappoint you sometimes. 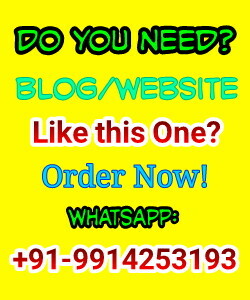 There are lowest to highest payable jobs available and it totally depends on you what kind of job you are searching and completing, how much time you have to spend to complete a task, how many tasks you have completed in one day, what kind of strategies you are accepting to completing a task etc. You can earn $0.02 to $1.50 just by posting videos, writing shot reviews, post some comments or reviews etc. with that, your residence also matters it is not compulsory that a USA native earning $2 with these tasks and you will also earn the same. You must have $8 in your wallet for withdrawal and the PayPal is the popular way and works great with Rapidworkers but you must remember that you have to pay 6% commission to PayPal for their services that would be cut from your payment. After applying the withdrawal request you can have taken out money within one week. If you have completed and submitted the task to the client and still you are waiting for the reply and review of the client then Rapidworkers will automatically transfer your payment after 6 days in your account and mark your work as satisfied one. Suppose that you have completed multiple tasks and submitted them it may take 1 week for approval not more than that 1 week is the maximum time then you apply for the withdrawal request as you had earned $8 again it can take a week for approving the withdrawal request so it means it can take 15 days to have your money in your hands. Skrill is also the payment mode that used by Rapidworkers but PayPal is most the preferred and safe mode. When I was researching for Rapidworkers I come to know that there are many people who are not much happy with Rapidworkers and complained that the site didn’t treat them well and rejected their account without any specific reason. As we said before that Rapidworkers is little strict and follow their rules sincerely so if you are a beginner here then make sure that read their terms and conditions carefully and understand their basic concept and rules so you can become a verified worker and your account will always remain in the active state. Never accept any task that is out of your location or your understanding, only accept the jobs that come under your location. If you feel that you can’t complete a particular task then never accept it otherwise it would spoil your review. Never send any fake samples or proof to the employer if Rapidworkers come to know then your account can be banned forever. Do not use proxy sites to changing your current location. 60% of work accuracy is necessary to always follow this rule to get more work here. Follow all these rules and you can save your account from any kind of risk that is possible and also help other people who get banned so they never repeat any mistake like this. We never say that Rapidworkers is a scam due to it is paying thousands of people and many of them are earning well. I have done a lot of research and saying on my own experience that it is true that micro jobs never pay you much and there are numbers of fake sites available who never pays you but Rapidworkers is an exception. You can add some extra money and you need not to do hard work and these mini-tasks take only 10 to 20 minutes incompletion. Initial you can feel some difficulty but after some time it can be an act of your left hand. If you are looking for a full time earning and thousands of dollars then never choose a site like that. Rapidworkers is the best option for part-time earning. You can increase our knowledge and how to deal with a client. There is no extra load on you to fulfilling the task. So I will mark Rapidworkers as a legit site that always pays according to your work and worth. If you want more information then go and check by yourself. It is totally free to create an account today and see by yourself. BuilderAll Affiliate Program Review- 100% Commissions, Really? It is easy to create an account without any hassle or paying any registration fee. You get your payment on the time and the delivery is also fast and quick. Cash out limit is also low need not to wait much for getting your money so as the commission is also low. Sometimes you get fake tasks and fake clients and many times there are tasks that are toxic or not much favorable so you have to be very alert and careful. Only worthy for international users especially USA users can make a handsome payment not worthy for other country’s users. Sometimes it looks a waste of time because tasks consume a lot of time and never pays you accordingly. Some users complained that Rapidworkers banned them and rejected them for a tiny mistake so we can say that Rapidworkers take all the things very seriously and only a serious person can stay here for a long time. There is nothing wrong if you are thinking about earning some extra money. Rapidworkers can become a good option for you all you need good guidance of that. If you are good at writing and posting videos and comments on different social networking sites like Facebook, Twitter, YouTube then you can earn good without wasting time. If you are not good at these then it is better to choose surveys tasks without any second thought. There are many other sites available like Rapidworkers but there are not huge differences among them. If you like this information and Rapidworkers review then share your experience with us. If you are already a worker oat Rapidworkers then please share your review with us so other people can have better guidance. Message: I hope that you have enjoyed 'RapidWorkers Review 2019: Is RapidWorkers Scam Really or Legal?' article on Tips2secure. However, if you want me to deliver more items, then please share my post. You can use Social Sharing Widget provided at the end of every post. After all, Sharing is Caring!